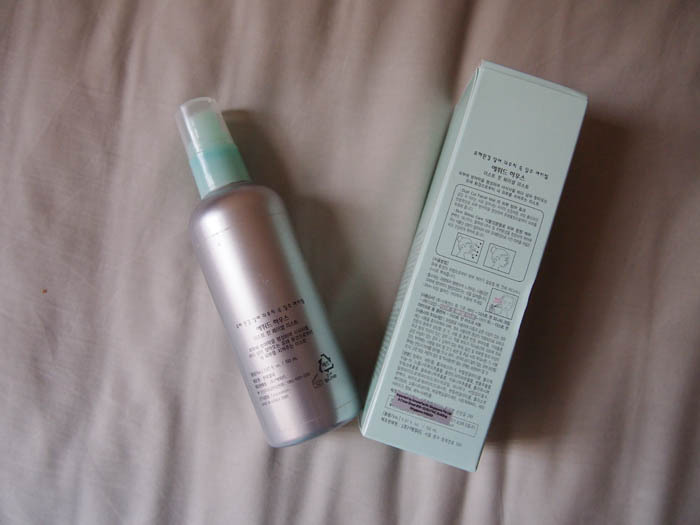 I have not had much experience with mists before, but I know that they are a popular item in Korea. Whilst I was at Priceline, a group of Korean girls came in to ask the sales assistant about mists and he had no idea what they were talking about. To be fair, they are not that prominent in Western skincare. From memory, I have only seen a Sukin Toner in a mist bottle at Priceline. The Priceline website tells me they also stock a Natio and Model Co toner mist. 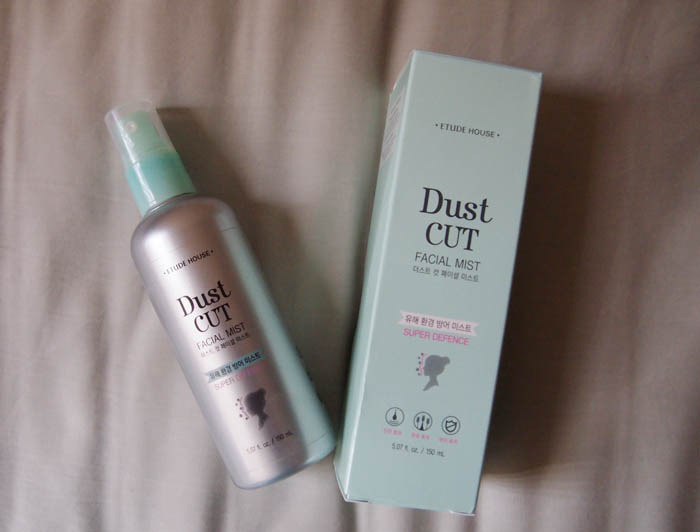 Drawn in by the advertisements by former f(x) member Sulli, I picked up a bottle of the Dust Cut Mist on my trip to Singapore in February 2015. This is a mist that protects skin from harmful environment by forming a protective outer barrier and providing care with its plant extracts that clarify dull and exhausted skin. Direction: Spray frequently whenever you feel threat of harmful environment. The tight feeling during absorption indicates that protective outer barrier has been formed. I'm not sure that this mist does anything at all, but I did feel safer walking down a dusty street during my week stay in Hong Kong (t'was the placebo effect). You are supposed to reapply throughout the day, but I only spritz it over my face before I leave the house and gives my face a little bit of moisture. I do not feel that 'tight feeling' as described above. The nozzle distributes a fine mist all over my face. Although I need three to four sprays to cover my face, I have been using this mist consistently for the past year and still have around 30-40mls left. The best use for this mist is in setting my makeup. The BB cream I layer over my sunscreen tends to crease and wipe away easily, but spraying the Dust Cut Mist onto a ruby cell puff (the puff that comes with a cushion compact) helps to set my face so that it doesn't smear everywhere. I am interested in picking up a moisturising mist next to take in my bag with me when I go out. It is very likely going to be an Innisfree mist or the new Etude House Mineral Bottle Facial Mist.